On April 25th and 26th, Boston Baroque will present Il ritorno d’Ulisse in patria (The Homecoming of Ulysses) by Claudio Monteverdi (1567-1643) in a semi-staged performance at New England Conservatory’s Jordan Hall. This production of Ulisse will complete Boston Baroque’s cycle of the surviving Monteverdi operas, a Boston first. We talked to Boston Baroque founder and music director Martin Pearlman, stage director Mark Streshinsky, and members of the cast about the production and its challenges. Pearlman has generously sent us his program notes for the performance, and we have cited from them freely. Virginia Newes: Can you tell us a little about what attracted you to Monteverdi in general and to Il ritorno d’Ulisse in particular? Martin Perarlman: Tonight’s opera is one of only three by Monteverdi that have come down to us. L’Orfeo from 1607, his very first, is generally acknowledged to be the first great opera in the repertoire. Then, after a gap of 33 years, during which Monteverdi wrote many operas that are tragically now lost, we have two great works from near the end of his life: Il ritorno d’Ulisse (1640) and L’incoronazione di Poppea (1642). Of Monteverdi’s three surviving operas, Il ritorno d’Ulisse is certainly the least well-known and least performed. Il ritorno d’Ulisse is based on the last part of Homer’s Odyssey, which tells of the homecoming of Ulysses after an absence of twenty years. 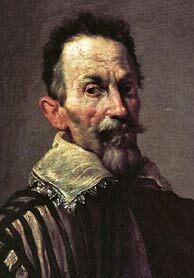 Giacomo Badoaro’s libretto, set to music by the 73-year-old Monteverdi, was premiered to great acclaim in 1640 during the carnival season in Venice. The performances took place at one of Venice’s newly opened public opera houses. Writing for a broader public affected the kinds of stories that were set to music. In this case, the story was one familiar to the audience, with plenty of blood and gore, a far cry from the nymphs and shepherds of earlier court productions. The opera then dropped from view until the late nineteenth century, when a manuscript was rediscovered in Vienna, but it was not until the mid-twentieth century that it was proven to be a genuine “lost” opera of Monteverdi. There are many places in this opera where the libretto differs from the surviving musical score. Sometimes a few words are different; sometimes an entire scene in the libretto is not found in the musical manuscript. For those scenes, have we lost music, or did Monteverdi never set them to music in the first place? Monteverdi’s letters show that he was quite demanding of his librettists and often required changes. His primary interest, he said, was to portray the range of human emotions. The “missing” mythological scenes may well never have been set to music, because he wished to keep the opera focussed on the human drama. Similarly, “missing” choruses of nereids and sirens or underworld shades were, in all likelihood, never set to music. Not only would they have shifted the focus of the opera away from the strong emotions of the human characters and even of the gods, but choruses were also not a common feature in the cash-strapped public opera houses of Venice at the time. You prepared your own performing edition for this production. Please explain to us the problems you found with the surviving manuscript sources and with published editions that led you to prepare your own. How much have you had to reconstruct? The music for this opera survives in only one manuscript score, although a number of copies of the libretto have been found. We have nothing of this opera in the composer’s own hand, only the one score hastily and sometimes carelessly written out by a copyist, probably after the composer’s death. It is lacking many details, it is incomplete in places, and it has a number of small errors. It is clearly a working copy designed for a particular production. Several scenes from the libretto are missing in the score, having either been lost, cut from that production, or perhaps never set to music in the first place. A performance therefore requires many decisions to fill in the holes in what the manuscript tells us. For Boston Baroque’s production, I have checked every note and word of the surviving manuscript. In many places, where the manuscript is incomplete or unclear, it required a variety of interpretive decisions. In the middle of Act I, for example, there is a written instruction that the orchestra should play a brief sinfonia while the sleeping Ulysses is carried in. However, there is no music provided; it is left to us to create a brief interlude. One important revelation in the manuscript occurs at the point where Ulysses slays the suitors. Just as the orchestra begins to build momentum for that climactic moment, most editions and performances have Ulysses interrupt the rhythmically driving music to insert a line of recitative as a prayer to Minerva. Looking at the manuscript, one sees that this extra line of music (for which the words are not in the libretto) appears to have been added later as a footnote at the bottom of the page, suggesting that it is probably not original. Our performance therefore omits this insert, allowing the rhythmic momentum to build to the end of the scene. What instrumental forces are called for? Are they specified in the manuscript score? The manuscript score does not specify the instruments that should be used. The five-part ritornelli, or musical interludes, would almost certainly be for strings, with some other instruments possibly added at times for color. For most of the opera, though, the score gives only two staves of music: a vocal line and an instrumental bass line below it. It is left to the performers to decide how to harmonize the bass line and to decide which instruments should play it. We use a variety of continuo instruments for this purpose — two harpsichords, an organ, two theorbos, cello, dulcian (early bassoon)—to vary the sonority according to the dramatic situation. Probably the biggest difference among performing versions of Ulisse is in the matter of orchestral accompaniments. In the original score, the orchestra plays very little. It has mostly extremely short instrumental interludes (some as brief as ten seconds). Beyond that, it accompanies singers only in a few limited spots, most notably at the moment when Ulysses slays the suitors and in Penelope’s song of joy in the final scene of the opera. The rest of the score is written for singers without the ensemble, accompanied only by a continuo bass line. The question then is whether the manuscript score is complete, or whether instruments were meant to accompany singers in places where there is no music specified for them. Some composers (e.g. Dallapiccola and Henze) have orchestrated the work throughout, giving it something closer to a nineteenth-century operatic sound. Not only does this change the basic character of Monteverdi’s work, but it also makes it impossible for the singers to be rhythmically free in declaiming their text, and it restricts the ability of the continuo players to improvise and react to the singers as they are meant to do in this music. At the other extreme, there are performances that limit themselves strictly to the notes that are written down, so that the orchestra plays very little and almost never accompanies singers. To me, this last choice seems unnecessarily austere, of questionable authenticity, and even somewhat timid. There are, of course, other performances that fall somewhere between these two extremes. My version for Boston Baroque is in this middle ground. I have composed orchestral parts to accompany the singers at certain key moments of heightened drama, when a character breaks out of recitative into song. For the most part, these are simple accompaniments, designed not to interfere with the singers. The sonority of the ensemble varies according to the dramatic moment, sometimes using only low strings, sometimes solo violins, sometimes the full five-part string ensemble, and occasionally adding recorders or cornetti. There are plenty of hints to support this approach. In this manuscript, there are places where a few interpolated notes appear to be cues for instruments that are meant to be playing, even though there is no music written for them. There are models for this in some other operas of the time, where we do see written-out parts for the instruments to accompany singers. Orchestral accompaniments like these can heighten moments of true song. But the core of this music is still in the freer speech patterns of recitative accompanied by a continuo section that can follow the singers with an improvised accompaniment. What do you look for in a singer? Are there any roles in Ulisse that suggest specific voice types? Singers have to be able to cover the range, of course, but most importantly it’s about the text. As in the very earliest operas, there is not a clear demarcation between recitative and aria. Whether they are experienced in singing early opera, or whether their experience is more modern, singers need to be able to “speak” the text in order to bring the story to life. As for voice types, Ulisse is a dramatic tenor but not a high one. Monteverdi tenor heroes need to have a good low range; in high passages, the voice becomes lighter, or may even pass into falsetto. Some opera companies use a baritone in these roles, but I prefer to use a tenor. The two couples, Ulisse and Penelope and Melanto and Eurimaco, are both mezzo-tenor pairs. Yes, but Penelope’s is a true mezzo part; Melanto’s is somewhat higher and lighter. The music of the lower-born couple is also lighter in character. How much freedom should a singer have in terms of ornamentation? Ornamentation in Monteverdi, as opposed to, say, Handel, occurs mostly—if text appropriate—in cadential passages. There are lots of elaborate runs and other kinds of passage work, on the other hand, for the godesses Minerva and Juno, but not for humans. 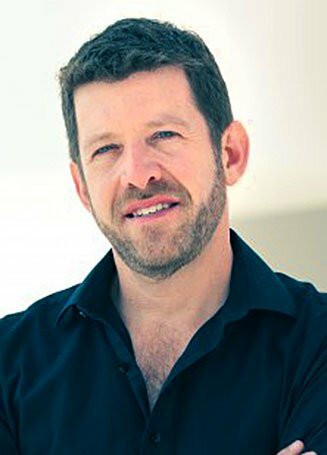 VN: You have staged a wide variety of operas, new and old, both as Artistic Director of West Edge Opera in California and at major opera houses across the country. What do you hope to convey in this “semi-staged” production of Il ritorno d’Ulisse in patria? MS: It’s a confusing opera. I want to convey a story about living, breathing people. It’s a real story about real humans. What are they thinking? What’s it like for Penelope to be separated from her husband for twenty years? She has decided to be a widow for the rest of her life, so she won’t believe it when she is told by others that Ulysses has returned. Only when he tells her about the bed covering that only he has seen, can she believe. Jordan Hall is of course a concert hall, not a theater. [The system for opening the shell into wings has not been used for many years] How do you work within its limitations, and how do you turn them to your advantage? We will have only one rehearsal actually on stage in Jordan Hall. And we won’t have much in the way of lighting effects available, which is too bad, because lighting would be good for mood-painting and for magic. Our set is designed to connect the audience with the stage and to integrate the ensemble of singers and players. So the instrumentalists will be on stage, surrounded by integrated platforms around and above them. We give the performers obstacles, strict parameters around and within which they create movement. The platforms also provide depth: Neptune, for example, will be submerged between two platforms. Will this be a “period” staging, with typical Baroque gestures? Definitely not. These are living, breathing people! As a tenor specializing in Baroque and classical repertory, Fernando Guimaraes has sung with major early music ensembles and at opera festivals both in his native Portugal and elsewhere in Europe. 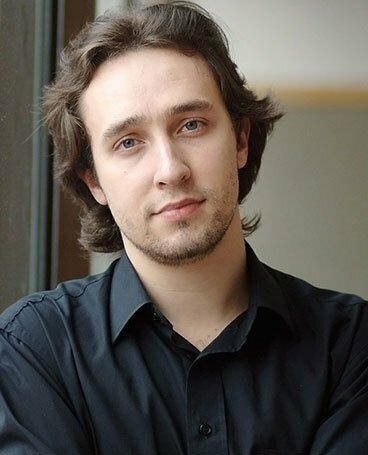 He makes his United States debut in the role of Ulisse with Boston Baroque. In recent years, you have been acclaimed for your performances in a number of Baroque operas. You have also sung the title role of Monteverdi’s L’Orfeo in two different productions. I wonder how you would compare the role of Ulisse with that of Orfeo: what new demands—musical and dramatic—do you feel are being placed on you in this new role? FG: Il ritorno and L’Orfeo are two radically different operas, as Il ritorno has a much more complex structure and a very different dramaturgical and musical approach. In Il ritorno we find a much wider variety of dialogues and ensembles, characters are more defined and not so much archetypal ideas, and they enter and leave the stage in a much more flexible way. Apart from that, the central character itself is of a very different nature: I see Orfeo, the demigod, as a much more poetic entity; his music is more complex in rhythm, harmony and dissonance, maybe more “abstract” than the music we have for Ulisse. Il ritorno d’Ulisse, on the hand, is much closer to the idea of “modern” opera: full of “heroic” music, theatrically grand moments, and the inevitable love duet in the end; and, of course, it introduces also the mechanism of disguise (as an old man, in this case), which will be standard procedure in opera for centuries and which brings a new challenge to the interpretation. We must also consider the moments of comic relief present in Ulisse and completely absent in L’Orfeo. All of these together make Ulisse a much more demanding role than Orfeo, both vocally and dramatically (if not necessarily from an intellectual point of view). Except for a brief recognition scene with your son Telemachus, you appear disguised as a poor old beggar until the climactic scene of carnage at the end of the second act. How will you reveal your true identity to the audience, while keeping it secret from the other characters? In the context of a semi-staged opera, we have to concede that this deception must rest mostly on a symbolic plan. Anyway, in these early operas, the libretto cannot be interpreted in an absolutely realistic way, as it’s full of metaphors and allegories, and also, the omnipresence of the gods of Olympus in the opera will imply that all characters are being at all times manipulated by higher forces and therefore cannot be expected to act and react in a normal way. Therefore the metaphor of Ulisse’s disguise will be symbolically present in a piece of clothing that will make it clear to the audience whether we’re in the presence of Ulisse or an old beggar, every other character interacting accordingly. 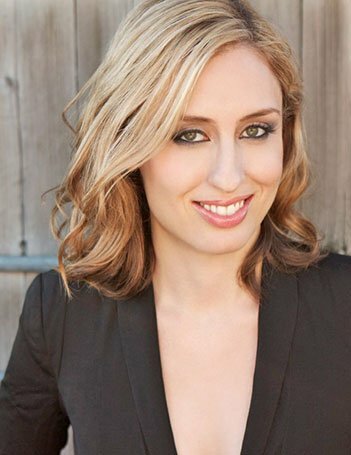 A graduate of Boston University and the Juilliard School, mezzo Jennifer Rivera made her American debut with the New York City Opera while still a student, and has since become well known in Europe and the United States for her roles in Bel Canto and in contemporary opera. 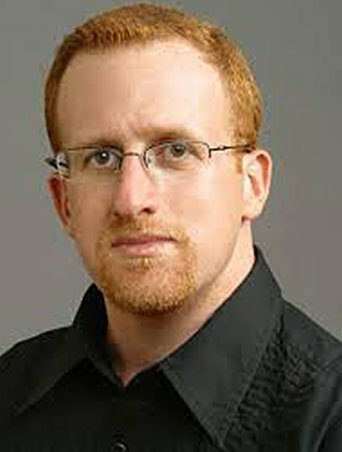 You have sung a wide variety of roles by composers ranging from Mozart, Rossini, and Donizetti to Robert Aldridge and Mark Adamo. Is Penelope your first Monteverdi role? What makes her character appealing to you? What do you feel are the major challenges for the singer in interpreting Penelope’s changing passions? JR: Penelope is a complex character and difficult for a modern person to understand. How could you wait for 20 years for your husband to return and not go completely insane? How could you then have him return and not recognize him immediately? Another challenge is that she spends a great deal of the opera expressing her extreme sadness and upset, and it’s important for her humanity to find moments of levity and even humor in between all of her suffering. But complex characters in the end are the most satisfying to play because they have so many layers that you can uncover and play with as an actor and as a musician. I guess this is a response to both the former question and the next one. And it is my first Monteverdi role, although I have sung quite a bit of other Baroque music especially over in Europe. Are there aspects of any of your previous roles that you feel may deepen your understanding of Penelope? Honestly, she’s quite different from the roles I usually play. Instead of steadfast queens, I usually find myself playing insouciant young boys! But I do have a husband and a son in real life, so I can at least use that part of my own life to understand her extreme loyalty to those two characters. 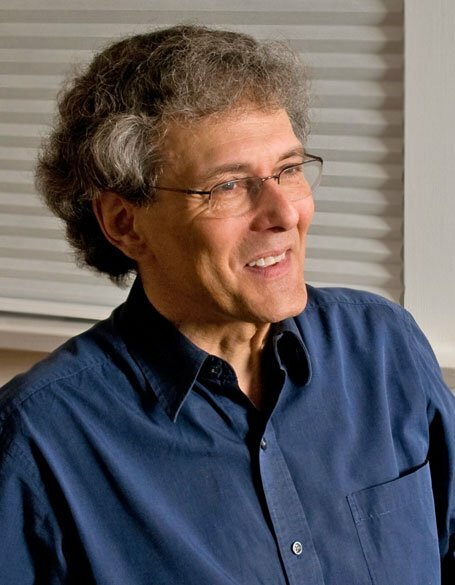 Marc Molomot’s high-tenor voice is of the type known as haute-contre, most closely associated with the French Baroque, and he has appeared with leading early music ensembles. Recently, however, he has branched out beyond the Baroque to sing in operas by Mozart, Auber, Offenbach, Berg, Britten, Poulenc, and Ziporyn, to name but a few. It is easy to cringe at Monteverdi’s depiction of the gluttonous beggar Iro. Is he comic or pathetic, or both? Can we laugh at his hunger? Does he belong to a tradition in Venetian opera that we can no longer relate to? How do you see him? MM: Iro is comic for sure and also pathetic, but I don’t believe Iro thinks he is pathetic, but rather entitled. This gluttonous character relies on everyone for his food and clothing and his main protectors are the suitors. When they’re killed by Ulisse at the end of Act II, Iro, in his horrified state, is left alone to ask the question “Qui lo consola?” (Who will console it [his vast hunger])? Monteverdi refers to my character as a “parte ridicola,” which implies to me that Monteverdi definitely wants us to laugh at his hunger and perhaps even his “attempted suicide” at the beginning of Act III. He absolutely belongs to the tradition of Venetian opera. In Monteverdi’s L’incoronazione di Poppea, we see Arnalta, Poppea’s nurse, break down that third wall in her final scene and speak frankly to the audience about her feelings, struggles, and dreams. In Iro’s last scene, we see very much this style of theatre again. As much as this is a parte ridicola, Iro’s last scene is brutally honest and yes, also ridiculous. This is a combination I like to play. The character is silly, strange, and funny, but also truthful. Monteverdi surely helps me find this delicious combination in this wonderful role. Thank you for publishing this, BMINT. Fabulous article that I’ll share. Excited to be part of this amazing production (I’m a violinist in the orch) that Marty has made happen. A very talented vocal ensemble and I hope the house will be packed both nights with concert goers who realize how lucky they are to hear early opera done so well! The recording that takes place after the performances will produce a very significant cd for the community of the baroque music-loving world!